Assassin's Creed: Origins provides a solid foundation for the future, but a year off hasn't changed the series as much as you might've hoped. 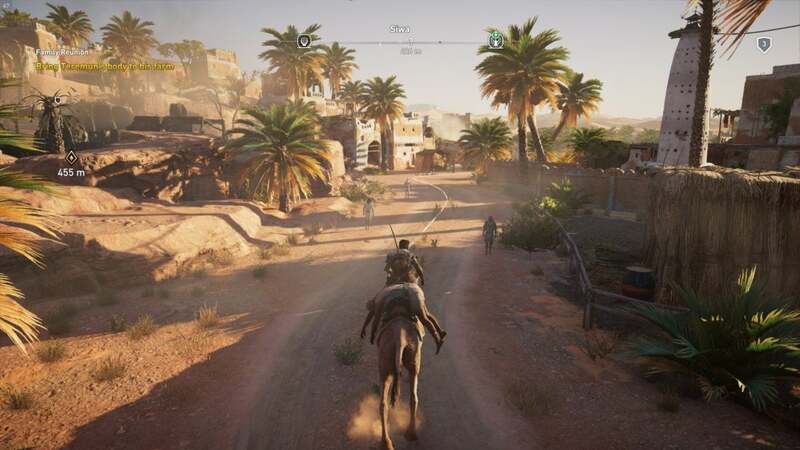 After Black Flag’s sprawling Caribbean adventure, Ubisoft said it wanted to rediscover the “roots” of I the Assassin’s Creed franchise for its next installment, Unity. And laugh at Unity’s abysmal launch all you want (I certainly did), it accomplished Ubisoft’s goal. Unity brought the series back to the Assassin’s Creed II era, focusing on a single city (Paris) with enough towering cathedrals and palaces to let the reworked parkour mechanics shine. Then Assassin’s Creed: Syndicate...did it again. But playing Assassin’s Creed: Origins, I was struck by how much it felt like Black Flag—even before I knew it came from the same team. Abandoning the single-city conceit of Unity and Syndicate, the Egypt of Origins feels...well, like the Caribbean, oddly enough, but with shining cerulean seas replaced by figurative oceans of sand. Editor’s note: We’re updating this review-in-progress to a full review now that we’ve beaten the game. 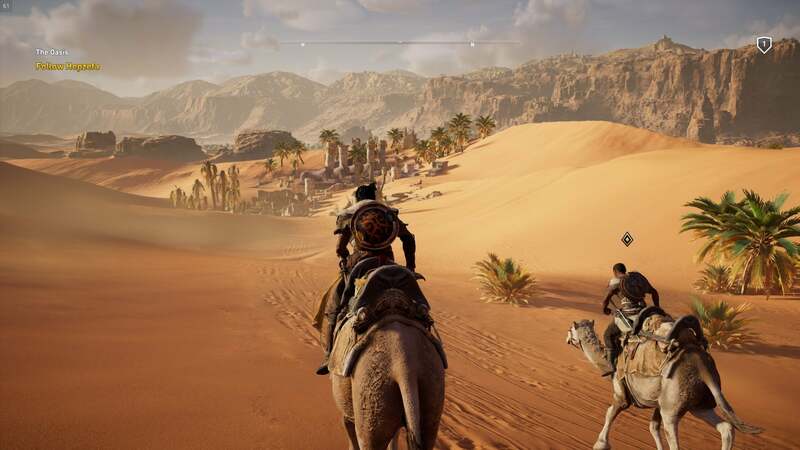 Our overall impressions remain the same, but Assassin’s Creed: Origins grew on us the more we played. We’ve left some final thoughts at the bottom of this review. Specifically, there’s a lot of empty space in Ptolemaic Egypt. 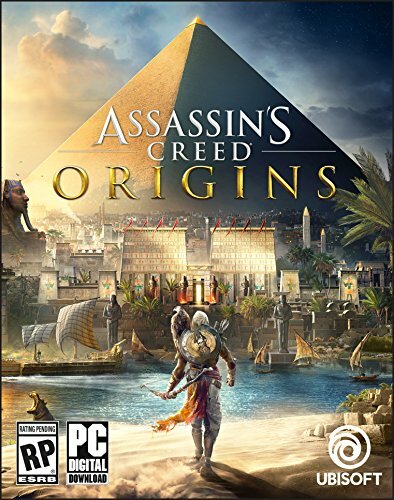 Origins is also the first mainline Assassin’s Creed game to rewind the clock, jumping us back from Syndicate’s Victorian era to the days of Caesar, Pompey, and Cleopatra, around 45 B.C.E. That puts us in the time of the Egyptian and Roman civil wars, with Caesar all-but-destroying the Roman Republic and Cleopatra trying to take down her brother and rule Egypt. 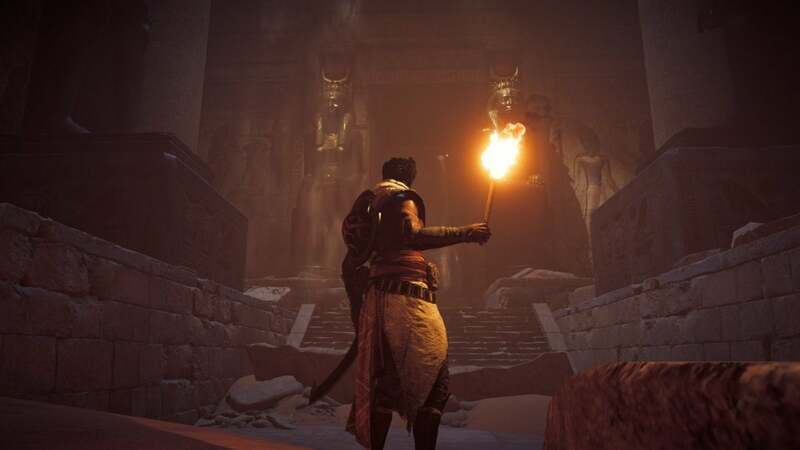 You’re but a small player in these events of course, taking over as Bayek, a “Medjay,” or person tasked with protecting the Pharaoh’s interests. And like most Assassin’s Creeds, Bayek’s personal mission of revenge soon expands and brushes up against the interests of those larger historical figures. A sidebar about microtransactions? Saying that spending money will “enhance” the game? Ugh. It’s boring. 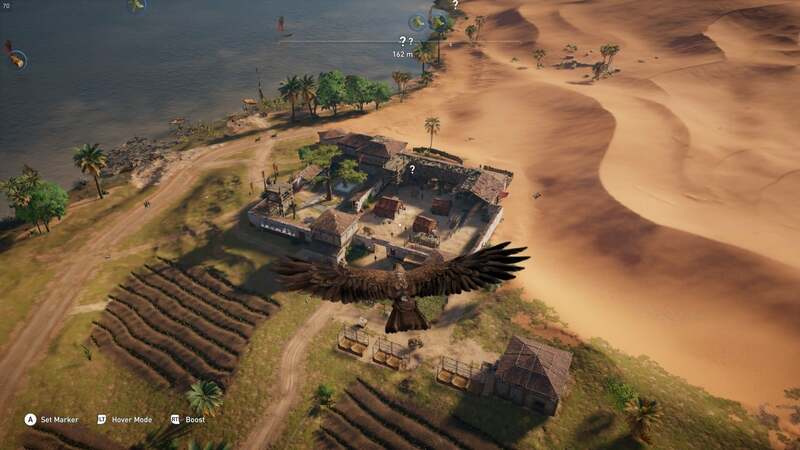 Boring enough that Assassin’s Creed: Origins even provides an auto-pilot button. Set a marker on your map and your horse will ride there on its own, no input needed. At one point I routed to a distant tower, set the controller down, got up and grabbed a drink, checked on my dog, came back a minute or two later, and the horse was still going. And it wasn’t like I’d picked a point across the entire map or something—this was a tower in the adjacent province. 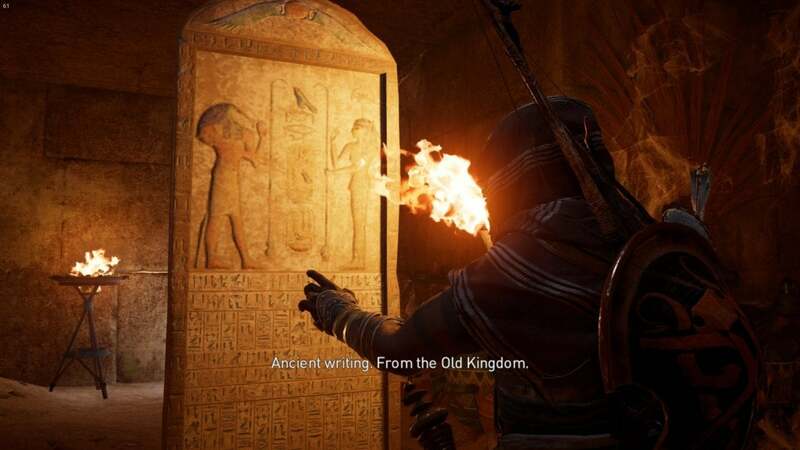 Aside from returning to a Black Flag-era emphasis on exploration, the other major change with Assassin’s Creed: Origins is its combat. The entire control scheme has been reworked to emphasize it. You now have a light attack, heavy attack, and a shield, plus a bow attack and a dodge-roll. Weapons also come in a bunch of different variants, from standard swords to dual knives to poleaxes. It’s the most complex Assassin’s Creed combat has ever been, though in practice it still mostly involves dodging around the nearest enemy and hitting them a bunch. And with combat taking center stage this year, it’s the series’s trademark parkour that suffers. In fact, Assassin’s Creed: Origins often gives off the impression it couldn’t care less about climbing—another aspect that reminds me of Black Flag. The more nuanced controls of Syndicate and Unity are gone completely. Now you just press and hold a button to climb, often without even needing to actively look for handholds. Bayek can seemingly scale even flat walls. The extra year appears to have gone mostly towards making this gigantic map though, and what you do on that map is pretty much the same as always. Go here, kill people, go back, talk to someone, repeat. A unique setting helps disguise the repetition, but Assassin’s Creed once again feels like an awe-inspiring technical achievement that desperately needs more focus on the game side (and the writing side) of the equation. And it’s been that way for years now. We’ll see what next year brings. 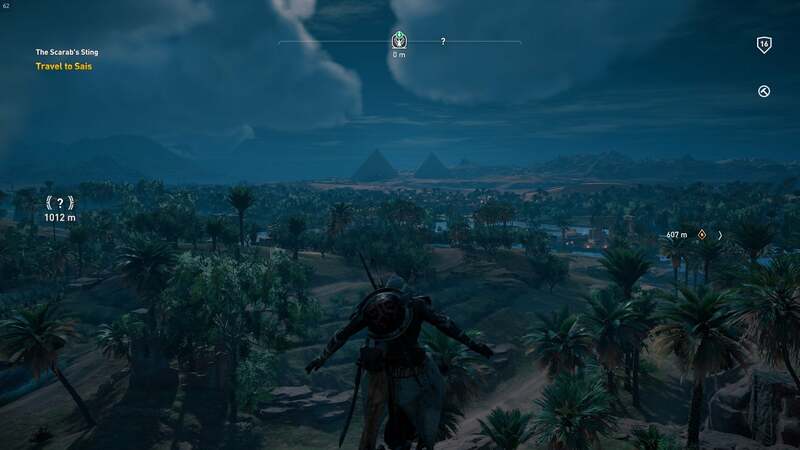 Assassin’s Creed: Origins grew on me. That’s worth noting up top, as I upgrade this review-in-progress to full review status—it grew on me, and it’s the first entry in the series to do so. Assassin’s Creed is mostly a what-you-see-is-what-you-get type of series, and generally within a few hours you’ve seen it all. AC II, Brotherhood and Black Flag were good early on. AC III not so much. The rest somewhere in between. But Origins starts slow and finishes pretty strong. Not that I’ve radically changed my mind about the game. Much of my original review-in-progress remains as accurate 40 hours in as it did at 15. Side quests vary wildly in quality, the RPG systems need some work, the map is overlarge for the amount of content, and the combat system is better but still no real challenge. The good stuff remains true too though. It’s a technological marvel, especially on PC. The setting is incredible, spanning ancient tombs and somber Hellenic temples, verdant oases and arid deserts, thriving cities and abandoned villages, and everything in between. And while the side quests vary in quality, kudos to Ubisoft for actually trying to contextualize everything this time around. 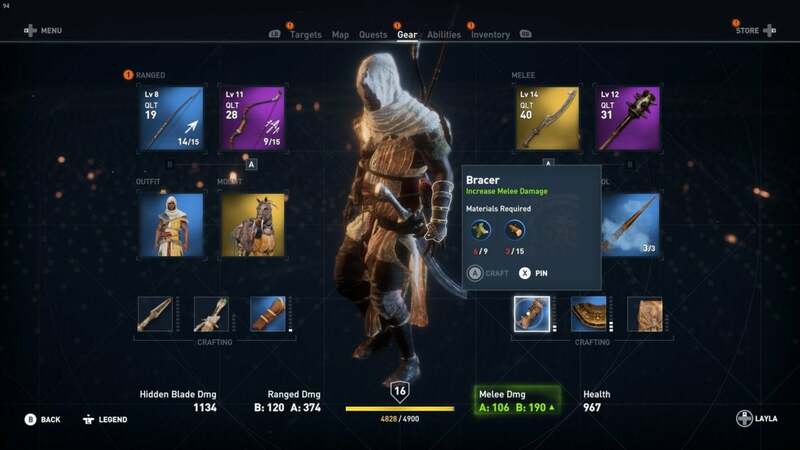 Origins seems to take some pointers from The Witcher 3 oddly enough, and is much lighter on the “Collect these items because they’re on the map” garbage than its predecessors. 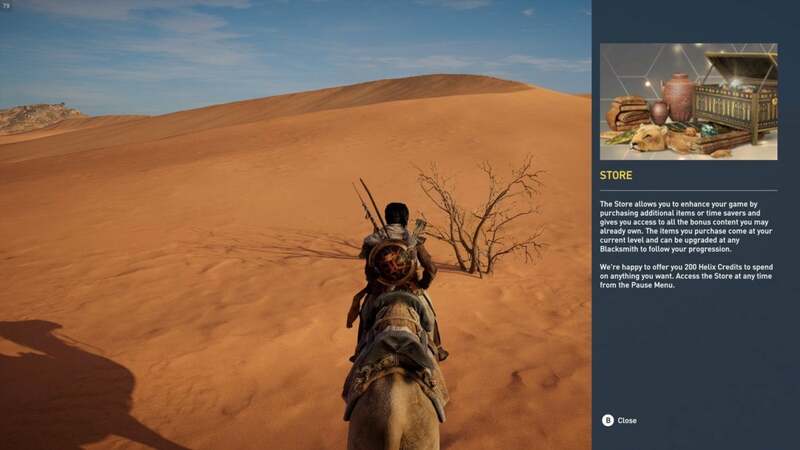 Most locations in Origins end up tied to some tidbit of story, whether central or tangential to Bayek’s goals. What you do at those locations is still usually “Kill all the guards,” but it’s at least structured better. As for the story? It’s fine. It has some definite high points, especially (and this is weird) in relation to the modern-day aspects. 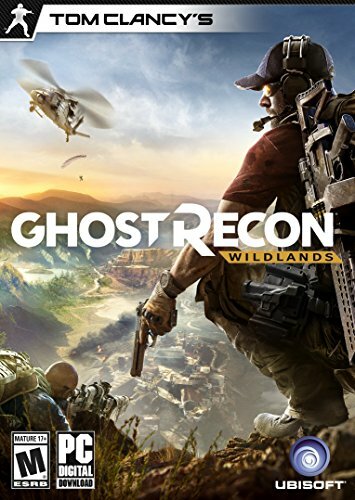 That whole storyline has been neglected by Ubisoft for almost five years, so it’s surprising to see it return in such a big way. There’s interesting lore to uncover for those who care about all that 2012, end-of-the-world, Desmond-is-Jesus stuff. 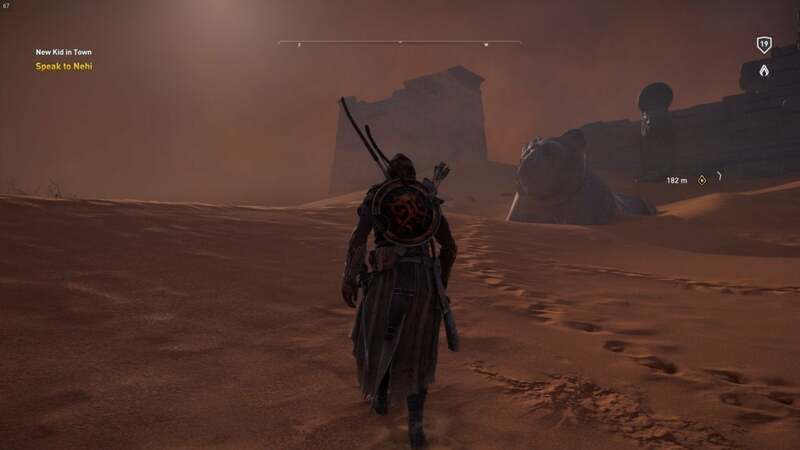 Bayek’s story is weaker. There are a few standout moments—mostly the scenes that happen after key assassinations, plus a few clever historical references. 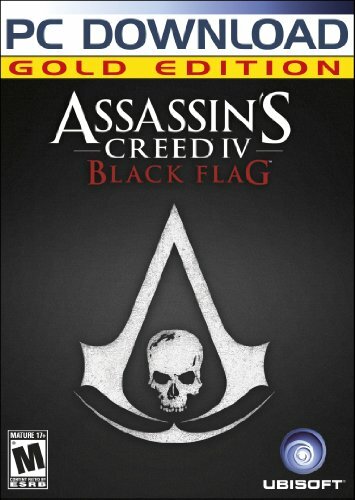 Overall it’s pretty standard Assassin’s Creed fare though, and not very well paced. Worse, Bayek himself isn’t incredibly compelling. At his most charming he’s occasionally reminiscent of fan favorites Ezio and Edward, but he’s rarely at his most charming. The opposite, actually. He spends most of the story brooding, a dour do-gooder in search of justice. In my earlier impressions I said he reminded me of AC III’s much-derided Connor, and while I don’t think Bayek tallies up quite as bad the comparison is still apropos. Criticisms aside, Origins is a solid foundation for whatever the next Assassin’s Creed brings—far better at least than Unity provided the last time the series rebooted. There’s a wondrous world to discover (or at least a wonderful Egypt), an enormous sandbox with plenty of forward-thinking systems to build upon. Now Ubisoft just needs to find a protagonist to make the next journey worth it. 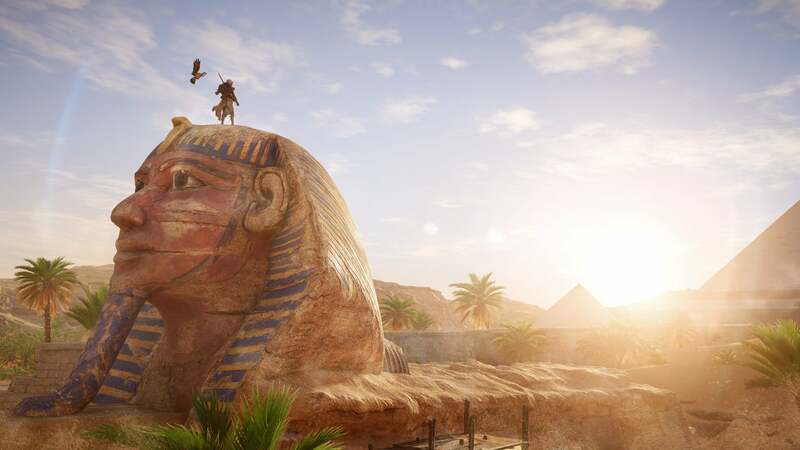 Assassin's Creed: Origins reboots the reboot to good effect, but a year off hasn't changed the series as much as you might've hoped.